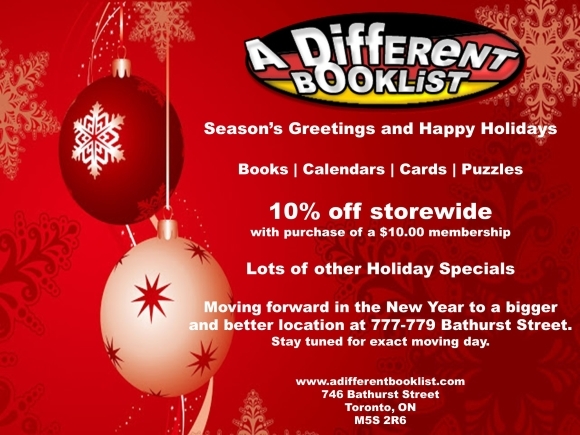 Purchase a $10.00 memberhsip today and receive 10% off all items at A Different Booklist. As we plan to make the move, we would like to thank all our members for their ongoing support and welcome all new members in the upcoming year. More time for Christmas shopping.